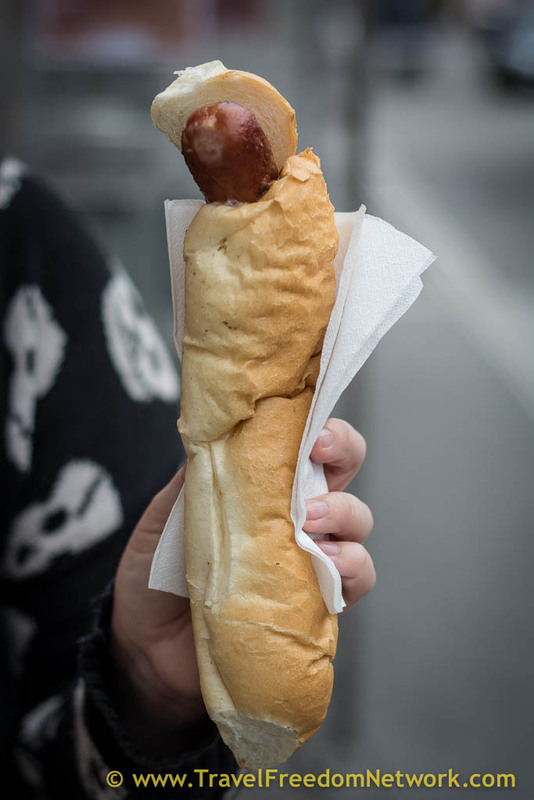 This episode’s Travel Homework: Tweet us your photos of you eating a giant sausage. Keep it clean people. 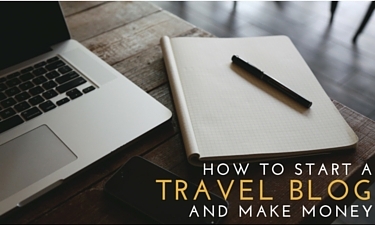 @mytravelfreedom mine is below in the photo section. Vienna is the only Capital in the world with a large wine production within it’s city limits. A Viennese pastry shop run by retirees – they have the best recipes! 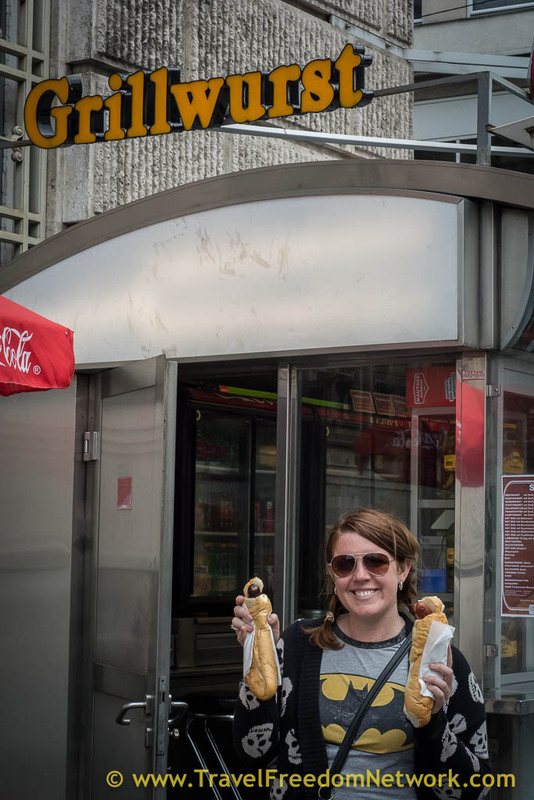 GrillWurst – Schottenor Universitat station – Eating street sausage. 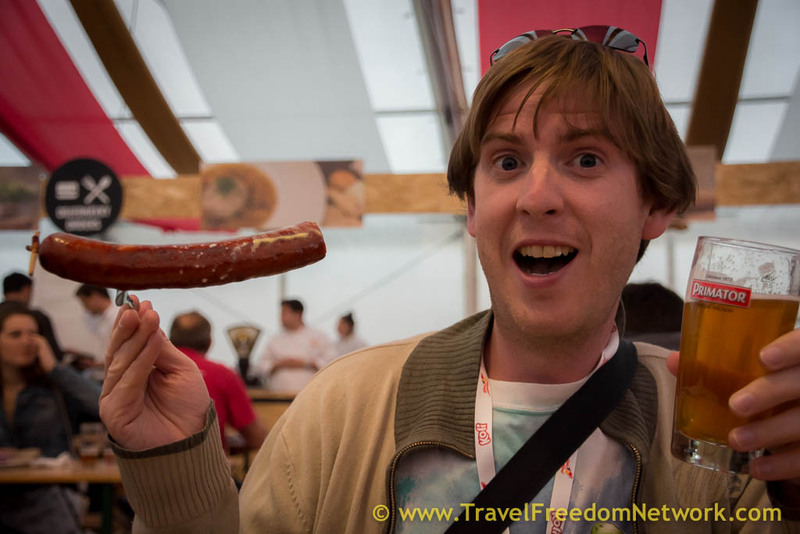 Tommo eating sausage in Prague – Look how happy he is!!! We are back. Our month off was, of course, not a month off. We’ve actually been working very hard at a couple of other projects – announcements on those are coming later this month. Right now, it is officially acceptable to say it’s christmas time. If you hadn’t guessed already, we are not the type of people who start celebrating in september. There is only so many times a year we want to listen to rudolph the red nose reindeer. I don’t care how damn happy christmas songs are, I’d rather be listening to journey! Don’t stop believing. That’s some real uplifting stuff. 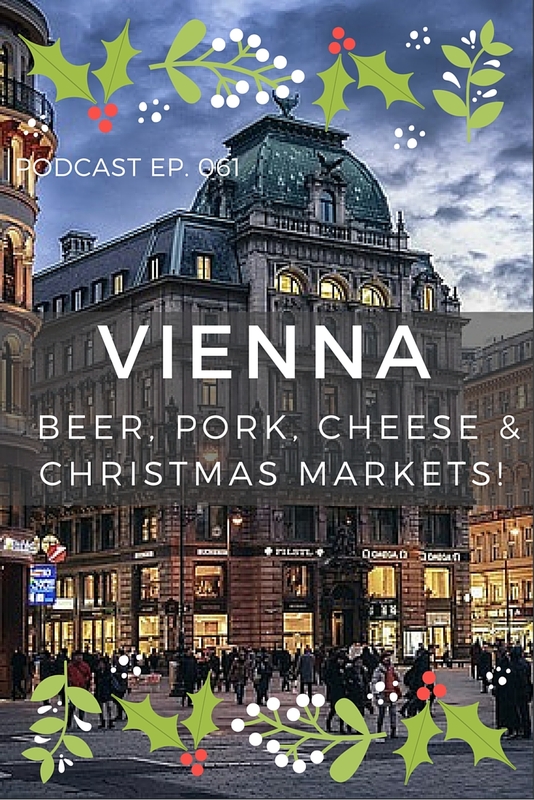 Still, it is Christmas, we will acknowledge it and we’ll actually be chatting today about one of the best places in the world to get Christmassy – Vienna! Their famous christmas markets, with mulled wine and much kitsch celebration, are a fantastic place to be as the snow starts to fall. But, we are in Thailand, so will have to live vicariously through Helena from Vienna tourism while we sit here supping cold wine in the warm weather, rather than hot wine in the snow. Today on the show. Craft beer made with chilli ?!?! Sausages filled with cheese – Yum! Yes. Can’t get those in Thailand. We’ll be podcasting while driving a segway in a storm and, of course Schnitzel. Their may even be some deep fried cheese, no promises though. 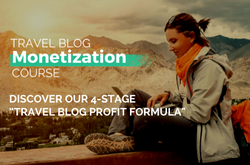 Yes, it’s a food fun packed episode because, we have just begun our rebrand process – our old travel blog five dollar traveller is slowly being up cycled into the much more flexible Food Fun Travel. If you thought you weren’t yet getting enough food and fun chat and inspiration from us, hold onto your skinny jeans – we’ll be amping that up yet further. So, before we get started. Quick shout out to Wombats The Lounge Hostel – which is where we stayed in Vienna. Its right next to the Westbanhoff, which is the west station. Super clean rooms and of course, there amazing all you can eat buffet breakfast for just a few euros. You can stock up for the day on cheese, ham and salami toasties. Damn I miss those toasties. We like to do a lot of our destination education by reading t-shirts. First thing to learn from Austria, there are no kangaroos. Next important thing, they like meat and beer. So do we. So we are not going to tease with this episode. We are going straight for the core Austrian cliches – Schnitzel and beer. 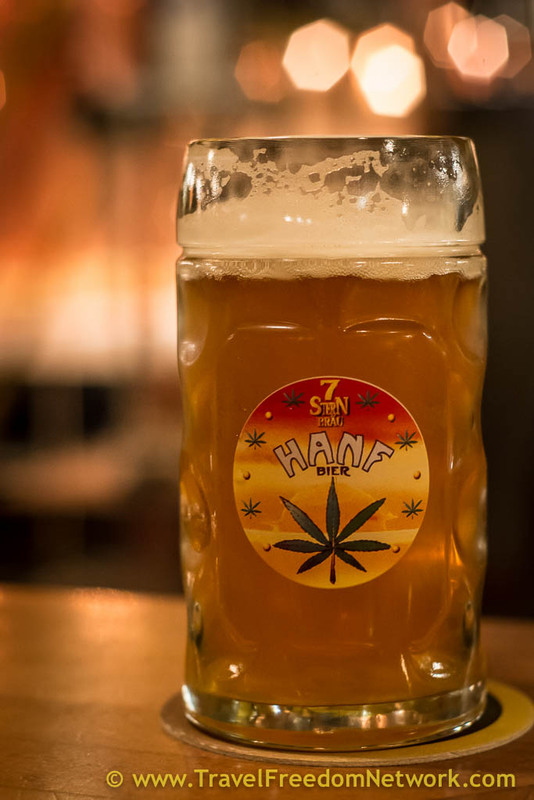 With much searching and no use of trip advisor, we discovered a local brewery that also sold schnitzel at affordable prices. Winner. Ok, that’s food and beer done…. Nope! I don’t think so. More on food later. But right now. One of our favourite unique fun experiences, not just in Vienna, but possibly in the world… We took a tour around one of the oldest, if not THE oldest amusement park in the world – Pratter. But, this was no ordinary walk. 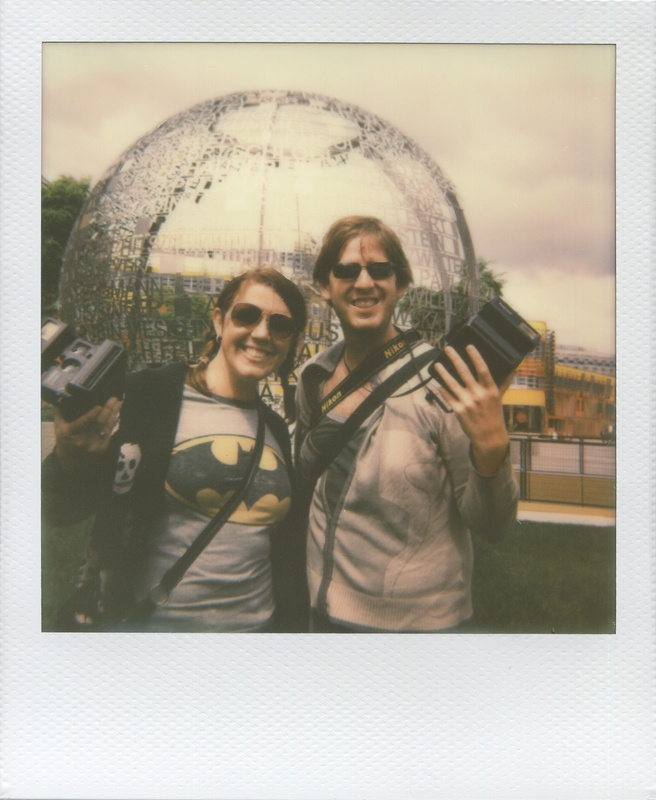 We hooked up with Polawalk to take a polaroid tour around the amusement park taking photos of the Ferris wheel that is over 100 years old, and the kooky old time house of horrors complete with anamatronic gorillas and scary dudes. This tour was so awesome we even pitched it as an article to Yahoo Travel – and that went live at the beginning of December – so jump on the show notes travelfreedompodcast.com/061 and click through to that article to see some of the polaroid shots from that tour. There’s the old time helter-skelter. Giant scary faced clowns and tons of other curios – Yes, curios. I get to use that word in a podcast – finally!!! Still to come – sausage filled with cheese, and a stormy segway adventure. But as it tis the season – let talk christmas markets. There may also be more food talk. whoops!! There are a few Skype glitches, this is what happenes when you try to do a Skype interview over 4G in Thailand. Still, it shouldn’t be too detrimental to your listening pleasure. Thanks again to Helena from Vienna Tourism for joining us. Ok, so we hooked up with pedal power segway tours in vienna. Just as we left the store the rain started powering down and the wind picked up. It was going to be a stormy trip. But armed with a bright red poncho we persevered towards the Heldenplatz which is the central square in the park outside the hofburg palace – plenty of space to zip around on our new 2 wheeled steeds. As the rain calmed a little we managed to get some podcasting in. We saw the vast majority of all the famous buildings around the outer centre within less than 3 hours. Got some photos, tried to avoid rain clouds in our red ponchos and generally had quite a little adventure! Sadly we don’t have time to talk more about the Wine cellar bar. But here are the cliff notes. We descended about 4 stories through this quirky, antlers on walls cellar with white walls and wooden tables. In the deepest basement we had red wine served in glass mugs! It was good. 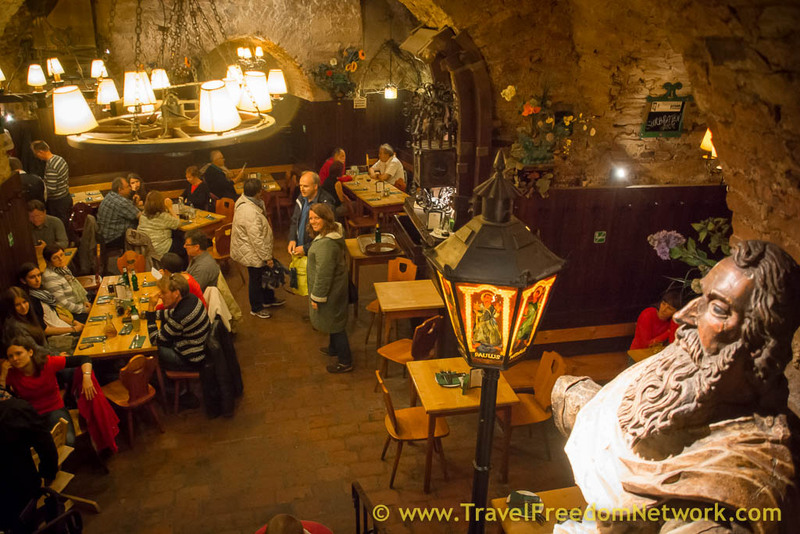 The name of the place is zwoelf-apostelkeller – link in the show notes. The ratings online are not so good – it is a little pricey and we didn’t eat there – but the ambiance with the accordion guy wondering around, while a little touristy, made us feel like we were in an old time keller bar. Finally, we couldn’t leave Austria without eating more sausage. Once we heard they had made the smart move of putting cheese in their sausage, that was it. Sold! 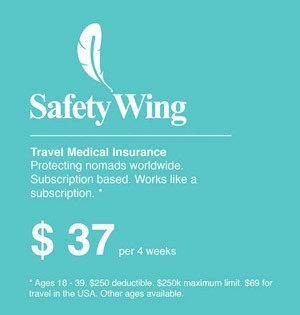 DISCLAIMER: We are affiliated with, World nomads, – a company we love and support. 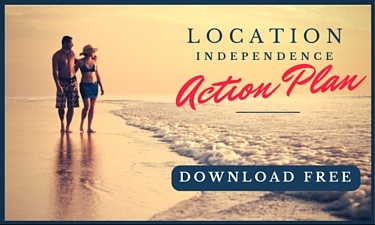 Some other links may also be affiliate link – these links help support the podcast financially. All our opinions, as always, are our own.